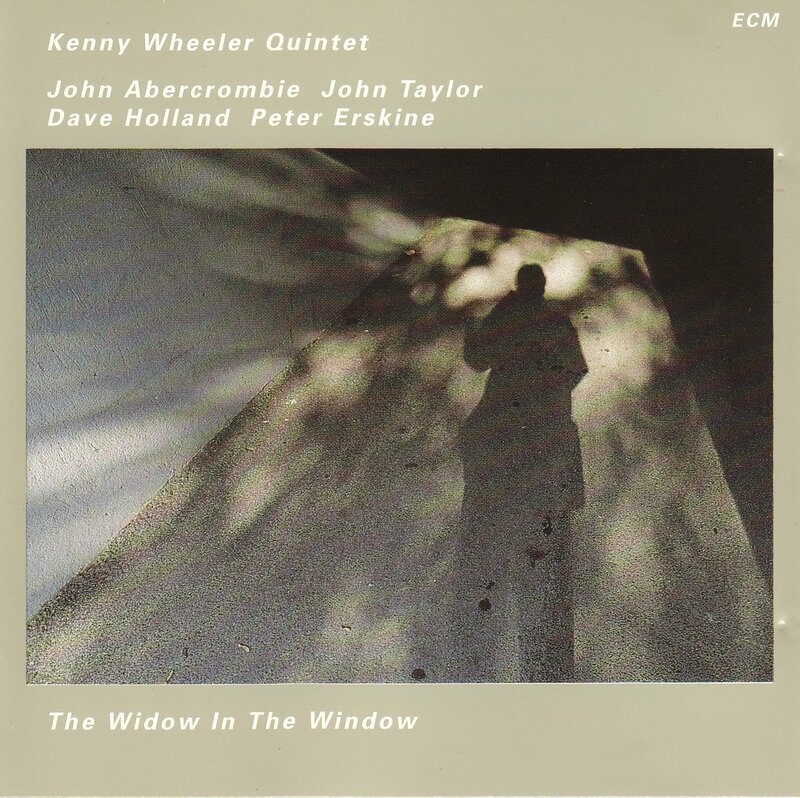 One month after the crowning success of his Music For Large & Small Ensembles, trumpeter/composer Kenny Wheeler gathered a handful of stars therefrom—namely, guitarist John Abercrombie, pianist John Taylor, bassist Dave Holland, and drummer Peter Erskine—into this more succinct yet equally classic date. Abercrombie lays down a particularly soulful beauty in the opening “Aspire,” the first in a program of six Wheeler originals, and sends the frontman’s uncompromising insights into thoughtful ether with the stretch of a trampoline. A solo of sweeping intimacy from Taylor showcases further sensitivity among a quintet so attuned that it might as well be doing this while asleep. We do, of course, find ourselves wide awake in the dazzling light of “Ma Belle Hélène.” One by one, Abercrombie unwraps his charms like the sonic candies they are. Wheeler, meanwhile, adds feathers to the session’s growing wings, uncorking a rush of unbridled melody that elicits one of Holland’s most heartfelt solos on record against some of the cleverest cymbals in the business. A graceful pass from Taylor puts the waxen seal on this love letter to sunlit streets and alleyways. The title track begins with a longing cry from Wheeler, who finds in its descending motives a narrative of spun of cloth and time. Profundity abounds in this solo-sphere, Holland especially drawing inimitable shapes into the fogged mirror of memory, wiping away melancholy away as if it were a dust bunny blown out of sight by a sigh. “Ana” receives a more nuanced treatment here than it did on Wheeler’s outing with the Berlin Contemporary Jazz Orchestra. That same modal intro speaks, sounding more than ever like a soundtrack to a film yet to be made. After a theme articulated in shadows, Erskine and Taylor turn to the light. Abercrombie positively dances on air and, along with Wheeler, carries us into the depths of hope. The swinging “Hotel Le Hot” finds the latter at his bubbling best, cresting the flames of surrender with every squeal. This cut is also noticeable for Erskine’s dizzying flavors. “Now, And Now Again” ends things in a gently rocking cradle for which Wheeler lays on the lyricism thick. Taylor charts the earth where once he stepped, where in his place now hovers only a sonorous ghost of what used to be. Those who count themselves a fan of Wheeler, ECM, or boundary-crossing jazz in general can chalk this one as unmissable. Indeed, if only they’d done more. I agree with your comment about the smaller groups. His sound is just dying to soar.